I love the Dollar Tree – there are seriously some awesome treasures to be found all times of the year…but I think Halloween at the Dollar Tree is my favorite. I’ve bought many decorations, candy, etc. at the Dollar Tree, and I love going there because I know they will always have just what I need to make our Halloween season a little more special. The other day, Forrest, the boys, and I dropped by quickly to buy a few things for a project. While we were there, I thought it would be fun to take a few pictures of my FAVORITE products that are available at the Dollar Tree during Halloween. I recommend going over there soon, because the supply does get more sparse at the season wears on. You can also buy a lot of these products online in bulk, which is great for Halloween parties. You can even have them shipped to your local Dollar Tree for free! I highly recommend signing up for their email list, so you can be the first to hear about closeouts, new products, and special deals. Let me know if I missed your favorite product! 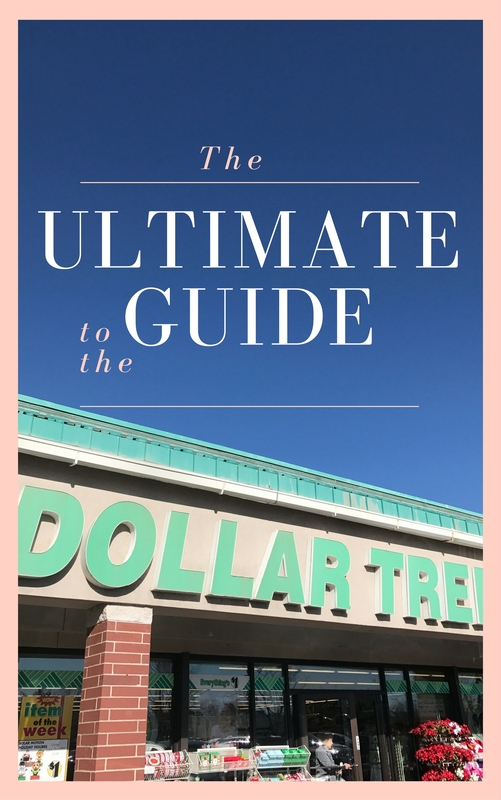 Don’t forget to join our Dollar Tree Finds, DIY, Deals and More Facebook group! I LOVE spider webs! I think my mom always hated them, but I always would insist we get them. And I still do! I think it’s a very simple way to dress up your front porch. The Dollar Tree always has spider webs. They aren’t as high of quality as some spider webs we’ve gotten in the past. But let’s be real – it’s a spider web. It doesn’t have to be woven from silk! The Dollar Tree also has a wide variety of spiders that you can put on your spider web once you are all set up. Last year I made Jack the cutest Trick or Treat bag. He was less than enthusiastic about it. Though being the sweet boy he is, he “offered” to take it to trunk or treat, but he opted for a Trick or Treat bag from McDonalds for actual Halloween. Sad. So, save yourself some time and just pick up some bags, buckets, or plastic pumpkins from the Dollar Tree. They are very cute, and they are perfect for kids. We actually bought about five of these last year, and I love them! You just put them outside (we had them in our garden), and during the day, they get charged up from the sun. After the sun sets, they light up. While there were a few times they didn’t work (likely because of a cloudy day), they went off without a hitch for the most part. I didn’t see these in store, but online they have solar powered skulls! While these aren’t necessarily specific to Halloween, the Dollar Tree always has a nice supply for glow sticks, bracelets, and necklaces. My mom always gets these for the grandkids around the Fourth of July, but I think they are great for Halloween as well. Last year I shared a post about kid-friendly pumpkin carving, and I was thrilled to see how popular it was. I mentioned the Pumpkin Masters carving sets. They have a similar set at the Dollar Tree for $1. It’s really all you need! In comparison, I saw the same set for $1.97 at Walmart. They also have pumpkin decorations for those of you who would rather not hollow out and carve a pumpkin. There are eyes, noses, stickers, etc. While I’m not one to put up lights for Halloween on the exterior of my home, interior lights can be fun. The Dollar Tree has pumpkin lights and orange LED lights. They are perfect for lighting up a window, mantle, etc. These are kind of fun for school or church parties where you may not want to have everyone cutting into a pumpkin. Or they are nice if you just don’t want to deal with the mess at home. They are a little bit small, but they are perfect for kids to have fun with. This is more of a general category, but the Dollar Tree has great items for Halloween parties – plates, napkins, cups…there’s really everything. And they are really fun and cute. I’m just a big fan of buying party supplies from the Dollar Tree in general, but they really go all out for Halloween. I always loved these when I was growing up – perfect for party favors! They have small strobe lights available that I think are pretty cool. You can use them to put inside pumpkins (instead of an actual candle) or just for decorations. I’m not entirely sure if the best deals on candy are found at the Dollar Tree, but they definitely have a lot of options. And really, you can’t go wrong on a bag of $1 candies. There are actually a lot of Halloween costumes and accesories at the Dollar Tree. It’s perfect for when you need something to throw together for a party you weren’t planning to go to. They also have a lot of products for classic costumes like princesses, pirates, etc. I love those solar powered pumpkin lights! And the little string lights are so cute, too! I’ll have to hit up the dollar tree soon!! !